One of the best parts about visiting New Orleans is experiencing the unique architectural styles found nowhere else in the country. If you’ve been to the Big Easy before, you are probably aware that the famous French Quarter courtyards are some of the most beautiful outdoor settings in the country. Many local establishments offer hidden courtyards, tucked away from street view, and Bienville House Hotel is no exception to this rule. Relax by the pool or take a dip. 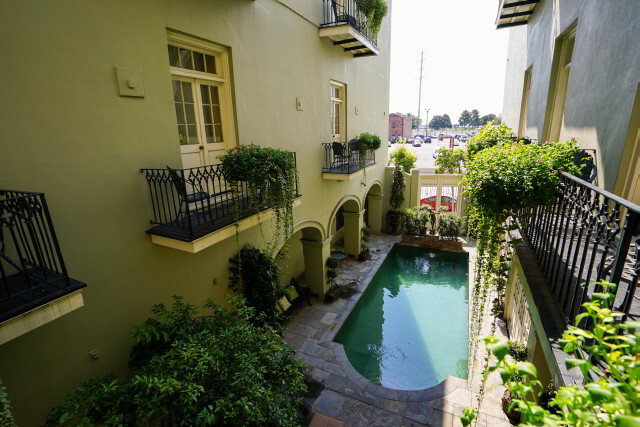 Our courtyard oasis in the heart of the French Quarter beckons you! You’ll love relaxing at our courtyard oasis, a serene retreat located in the heart of the bustling French Quarter. Our courtyard offers lush greenery, soothing fountains, and a pristine salt water pool, making it one of our guest’s favorite features of our French Quarter hotel. The courtyard lies at the center of the hotel, with many rooms at the Bienville House offering beautiful balconies overlooking the entire area. While the surrounding Vieux Carré can often be loud and busy, you’ll find relief the moment you step into our calm and quiet courtyard oasis. Many of the hotel rooms at Bienville House offer beautiful balconies overlooking our French Quarter courtyard and pool. It’s the perfect place to start your day with a cup of coffee and the newspaper before you venture out to explore the Crescent City. We are conveniently located in the heart of the French Quarter, just steps away from all the best New Orleans attractions. 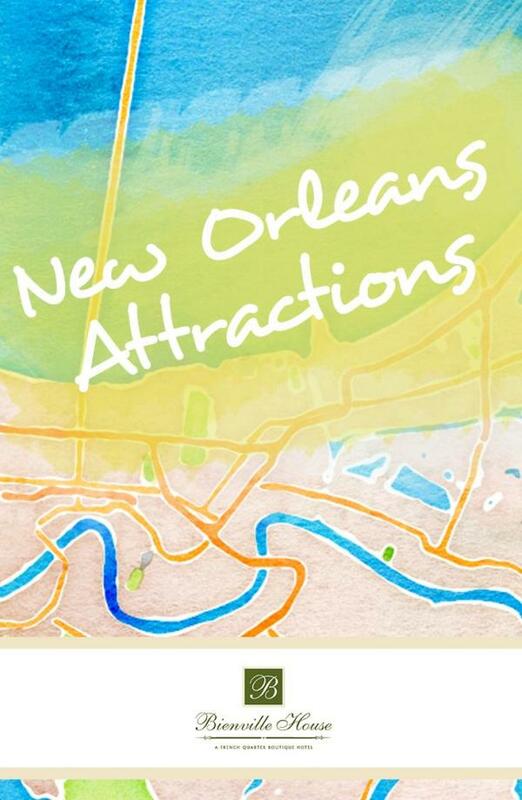 Summer in New Orleans offers plenty of special events and festivals, as well as exciting indoor activities perfect for families. 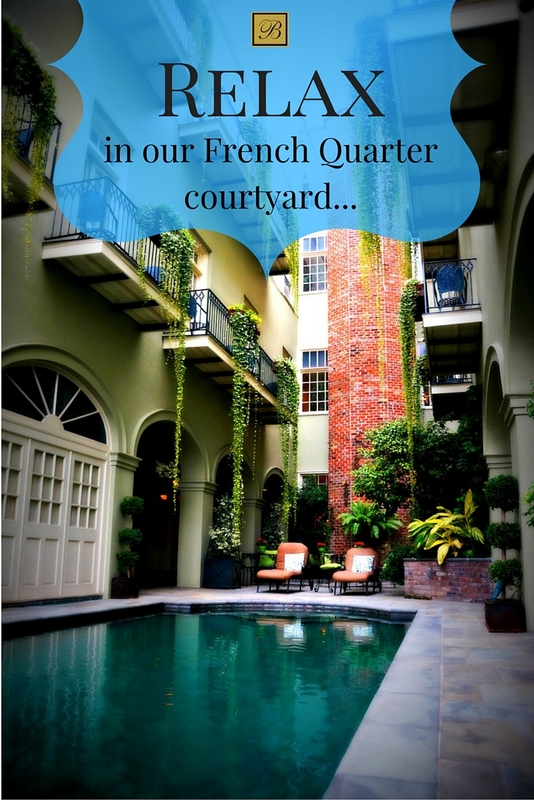 Want to explore a few more private French Quarter courtyards? Le Monde Creole Tours offers an insider’s glimpse of the wide variety of historic courtyards found throughout our neighborhood. Their top-rated walking tour will bring you to the courtyards of private homes as well as historic properties like the Hermann-Grima House Museum and the New Orleans Pharmacy Museum. 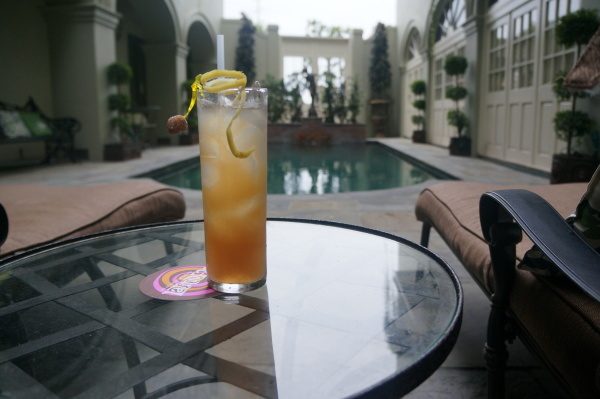 Enjoy sipping a tiki cocktail from Latitude 29 (like the Mississippi Mermaid pictured here) while overlooking our French Quarter courtyard pool at Bienville House. When you’re done with your French Quarter fun, come back to Bienville House to relax on a lounge chair by our salt water pool with a tropical cocktail, handcrafted by one of the bartenders at our very own Latitude 29. It’s the perfect way to wind down after a day of adventure! Guests of Latitude 29 are welcome to sip their tiki drinks in our verdant courtyard, but taking a dip in our salt water pool is a luxury reserved exclusively for our hotel guests, so take advantage of our special summer rates and book your stay today! When you book your summer getaway with us, be sure to ask for a room overlooking our courtyard and take a little time to relax and enjoy all the beauty the Bienville House Hotel has to offer! Relax in our beautiful French Quarter courtyard or take a dip in Bienville House Hotel’s salt water pool when you visit New Orleans this summer.